Fabulous shower decor and treats! Everything coordinates perfectly and looks awesome! 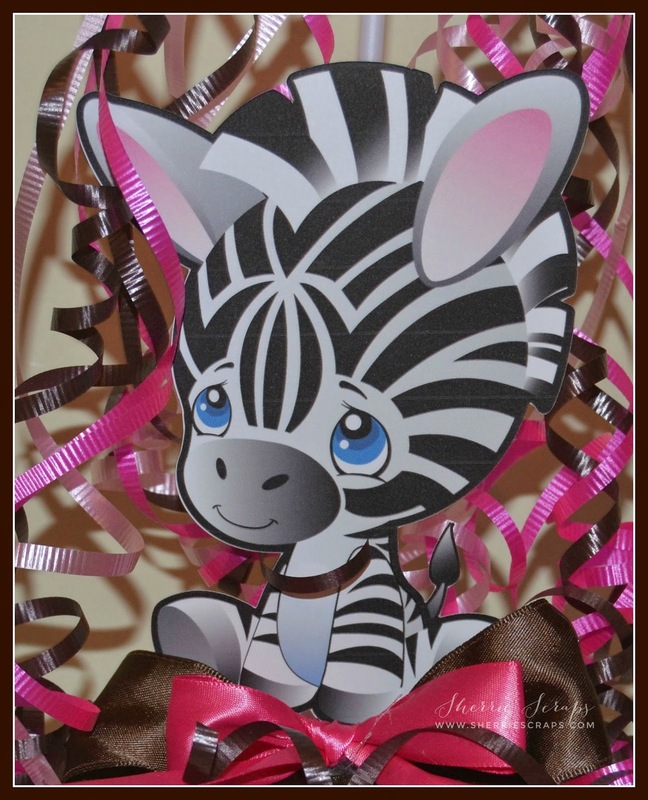 Love the sweet animal theme you used! Congrats on your soon to be born granddaughter! Wow Sherrie.......your decorations are amazing!! Such a cool idea having a safari theme :) The animals are so adorable! Oh my gosh, everything looks so PREFECT! What a great theme and your created everything so beautifully. Look at those centerpieces....WOW. I just love every detail, the banner and the awesome candy sticks! You did an amazing job! 3 girls... LUCKY :) How fun, what a great time in all your lives! I can't wait to meet the new little one! I hope you'll get some down time, you probably could use it huh? Oh my gosh, these are the cutest decorations!! 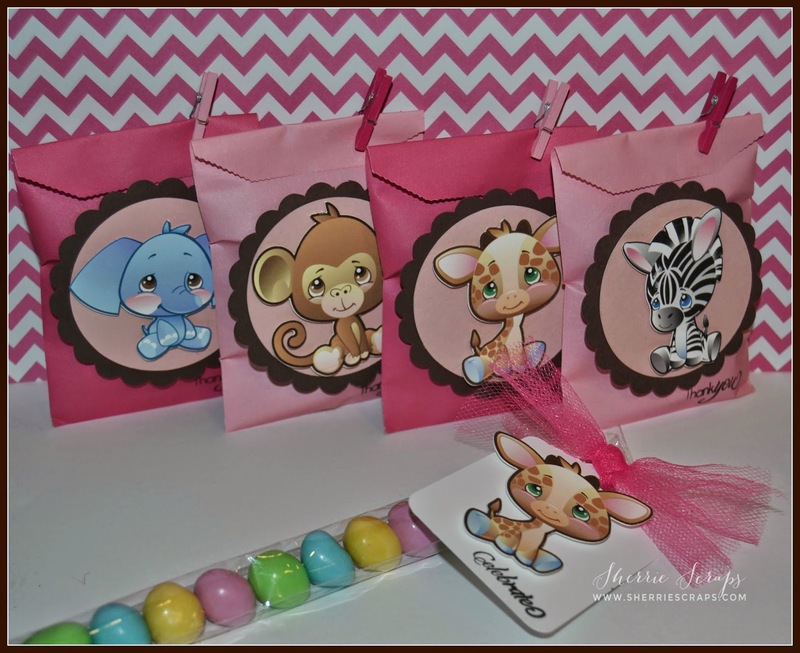 What a fun theme for a shower!! Those animals are so darn adorable!! I love how you put everything together - it all looks amazing, Sherrie!! 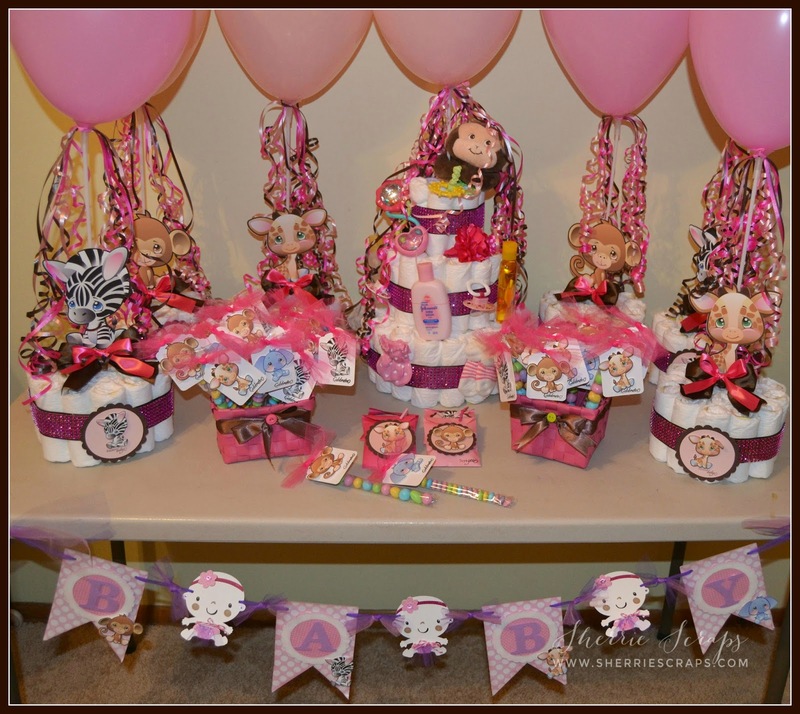 I just love the diaper cakes!! And the banner - so sweet!! You did such an awesome job with everything!! Oh Sherrie, these are the cutest baby shower decorations ever!! I just love the mini diaper cakes for the tables and all the little treat are precious!! OMG these are just precious! So, so cute but wow looks like a lot of work! 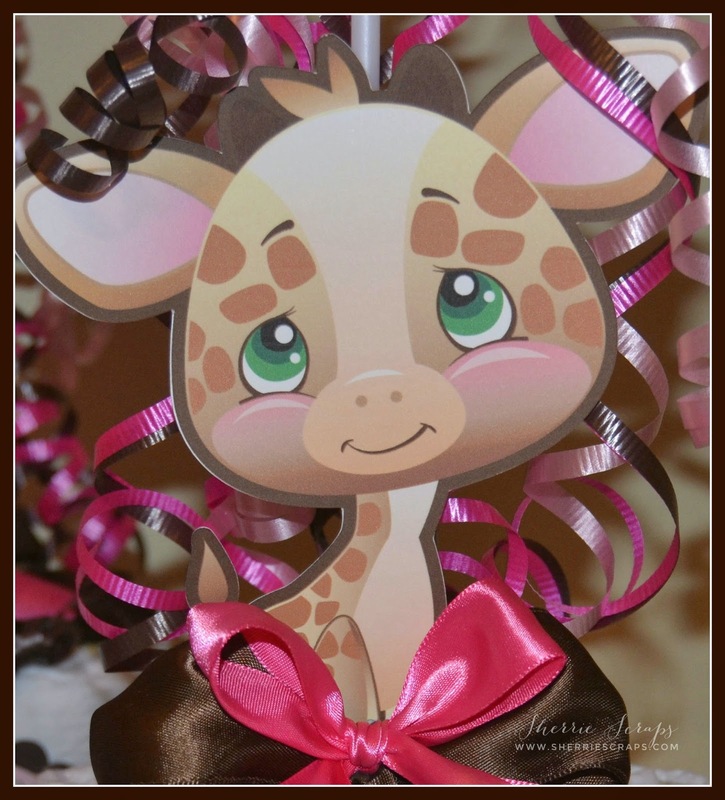 I'm sure everyone at the shower was oooing and aawwwing over these adorable decorations! Congrats on becoming a gramma again! What fun ... enjoy them ... they grow up way too fast!! Oh my goodness! You are a BUSY lady! Everything looks fantastic. Thank you for joining the DoubleClick For a Mom or Girl Challenge! OMGOSH, OMGOSH, OMGOSH!!!!! When I saw these posted on facebook this morning I wanted to come right over and get a better look at them.... but I got busy with some stuff and said to myself... SELF... you NEED to go see what Sherrie made!!!! I LOOOOVVEEE it!!! You did an amazing job decorating for this newest grandbabies shower... I bet your DIL LOVED it all... It looks so sweet & Precious... And sooo Stinkin' Adorable!!!! Those grandbabies have the best grandma ever!!!! :) Have a Great day! Sherrie, this display is spectacular! Every tidbit is precious and was certainly a blessing to all! The animals are darling and the entire set-up brings warm fuzzies! 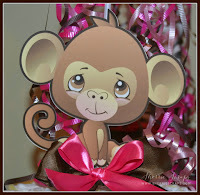 :o) You always put together the sweetest treasures for special events. Lovely work, my dear friend! (And did you know that you don't even show up on my blogger dashboard now, either?! What is going on?!) Have a twinkly night, sweet friend! Oh my goodness this is just so ADORABLE ADORABLE!! Thank you for joining us over at Decorate to Celebrate. WAY TO GO - you really know how to throw an excellently themed party!! Great job - all your details are super amazing!!! So glad you joined us over at DoubleClick for A Mom or a Girl challenge!! WOW I knew you were busy with the baby shower stuff but WOW this is spectacular!!! You definitely were a busy woman!!! My goodness you did a fantastic job Sherrie! These safari animals are precious as ever and I just LOVE that banner! You did a wonderful job and I am sure you got a ton of compliments! Congrats on granddaughter #3 very soon!!! And thank you for linking these beautiful projects up in our Funday Friday challenge!!! Sherrie these are the cutest decorations. You are so talented at the party decorations. I know she loved them. I sure do. What a wonderful treat for your daughter in law. You did a fantastic job on these party decorations. I love how you did the diaper cakes as table centerpieces. How fun and so sweet. Congratulations on the upcoming birth of your newest grand daughter. How FUN. WoW Sherrie! You really should be a party planner! Congrats on another granddaughter! Thanks for joining us over at the DoubleClick Skittles Challenge! DT Member Carri~Abusybee Skittles! Absolutely adorable. I so love these as I stated earlier. Hop on over and link them up at 2 Creative Chicks. 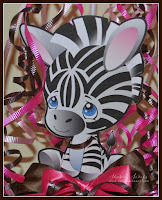 OMGOSH ~ Sherrie ~ you are seriously so stinkin TALENTED! How ADORABLE, PERFECT and AMAZING are these! OMG!!! I bet your DIL and everyone who attended LOVED and ADORED these!! WOW! She is so lucky to have on creative and talented MIL!!! Seriously ~ WOW! How exciting a new baby.... looks like another precious girl will be here before you know it! LOVE how you are just enjoying every moment as a grandma! Even though you certainly don't even look like one! Oh Gosh!! The baby decor is PRECIOUS!! You did an AMAZING job on everything!! I LOVE the adorable critters and such a BEAUTIFUL banner!! Seriously AMAZING!! Congrats on your granddaughter #3!! AH-MAZING! Oh my gosh, this is just beyond adorable! I am willing to be that you DIL loved this. Those little critters are all so sweet and your design is just fabulous. 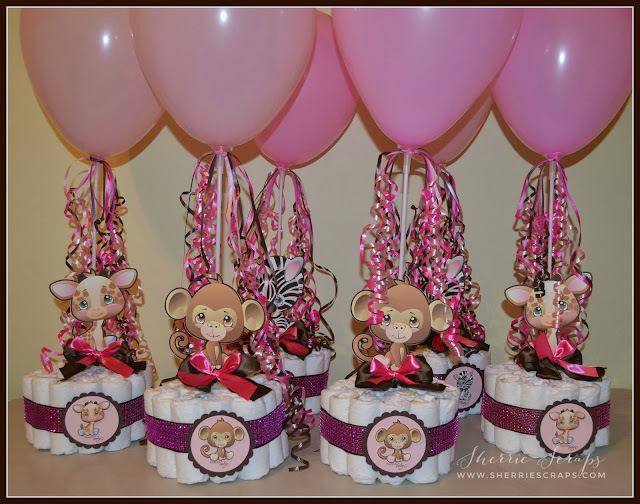 I love the balloons and curly ribbon and those gift bags....oh my! You did an amazing job on this my sweet friend and I know you can handle wait to cuddle grandbaby number 3! OMG I am speechless! These are just AMAZING!!!!!!!!! AWESOME job!!!! Wow, this birthday bash seems so interesting. All this party stuff is just brilliant. I wonder if you could suggest some girlish birthday party seems! 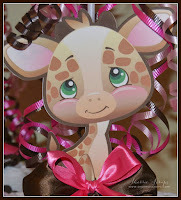 Actually I need some theme ideas for my daughter’s birthday bash that I am going to host at some outdoor NYC venues. Please help friends!